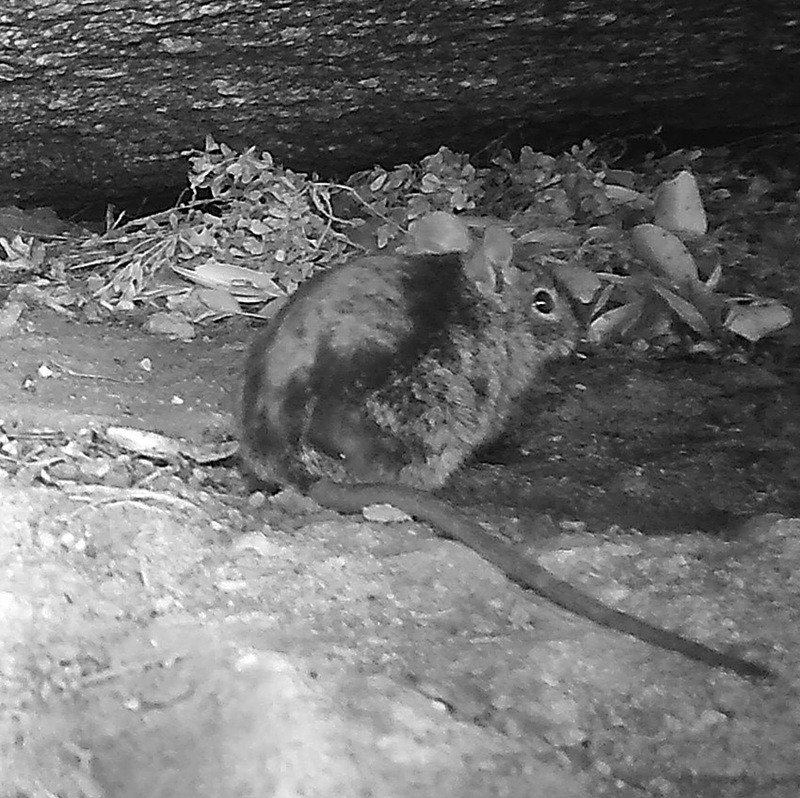 Camera Trap Codger's recent video of a Pygmy Rabbit inspired me to upload these clips of rodents at Paarl Mountain Nature Reserve. Lets first meet the Neophobic Four-Striped Grass Mouse. 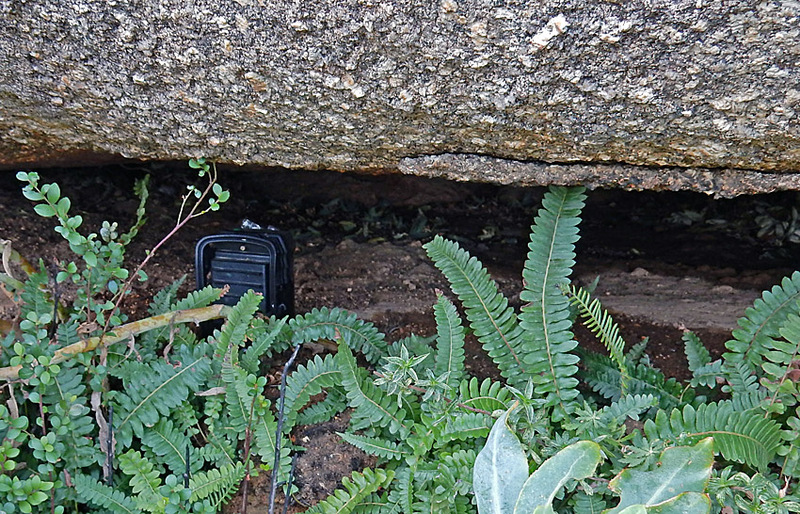 I initially placed the SecaCam HomeVista quite far back, near the edge of the boulder. 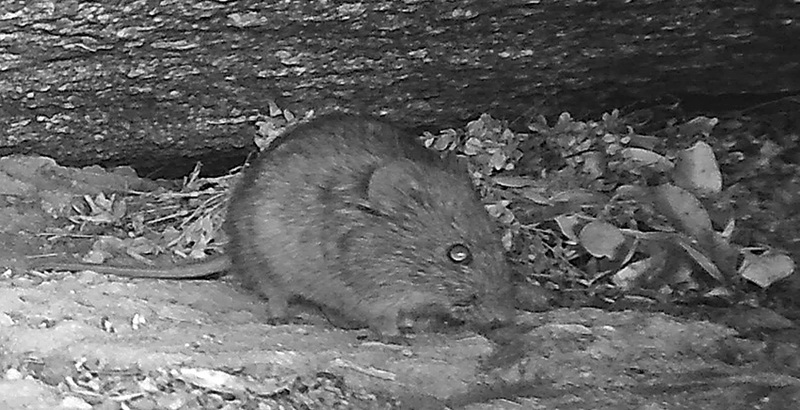 From the start the mouse already didn't like its presence, but the mouse didn't like it one bit when I later moved the camera trap much deeper into the boulder's overhang. The twig nest in the background doesn't belong to the mouse, but is in fact of Vlei Rat craftsmanship. I believe this particular individual is a Saunders' Vlei Rat, but it is hard to be sure from just the photographs. 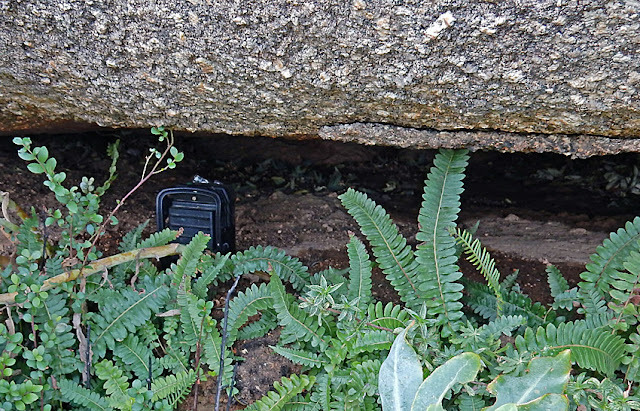 From the very beginning the Saunders' Vlei Rat showed very little interest in the camera trap, even when I moved it closer to the nest. Towards the end of the camera trapping stint I captured a photograph of the rodent fixating on what I thought was the camera trap. The camera trap was set to take photos and videos and as it turns out the rat wasn't really interested in the camera trap at all, but rather had its eyes on fresh new shoots growing in front of and next to the camera trap. The vlei rat seems to be quite the thoughtful character. He gave the camera trap a good lookover when it was moved closer and then afterwards didn't seem much bothered by its presense. Both rodent species showed the "raised forefoot" position which I learnt years ago from Codger's blog often indicates uncertainty or analyzing a situation. The mouse however only felt safe to do this the third time it encountered the camera trap. The rodents have good reason to be cautious, there are bound to be predators on the prowl! One Four-Striped Grass Mouse also showed some signs of parasites or disease. It had a problem with its fur. I've noticed this condition quite frequently in this species, not only at Paarl Mountain. I'm not sure what causes it, but I suspect some kind of mange (parasitic mite). The other rodent species living in close proximity to the infected Four-Striped Grass Mouse usually seem more healthy. To close things off I must admit that I'm starting to become huge fans of the entire Otomys genus (Vlei Rats). This Saunders' Vlei Rat was super charming and the Karoo Bush Rat family at Koeberg was too sweet for words. May my future hold many more Otomys-moments. 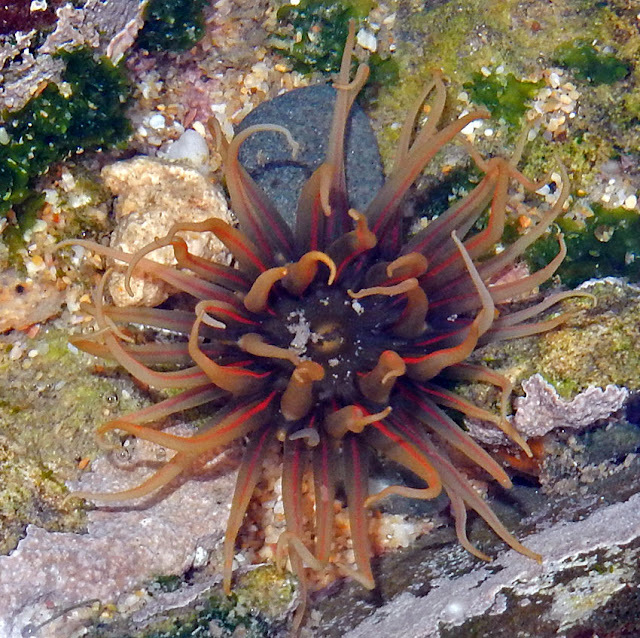 This post will be the last of my photos and videos from the tidal pools at Cannon Rocks, for now. The discoveries have been amazing and I will definitely be crawling over these rocks again. I hope to be fortunate enough to stare into tidal pools for many years to come. 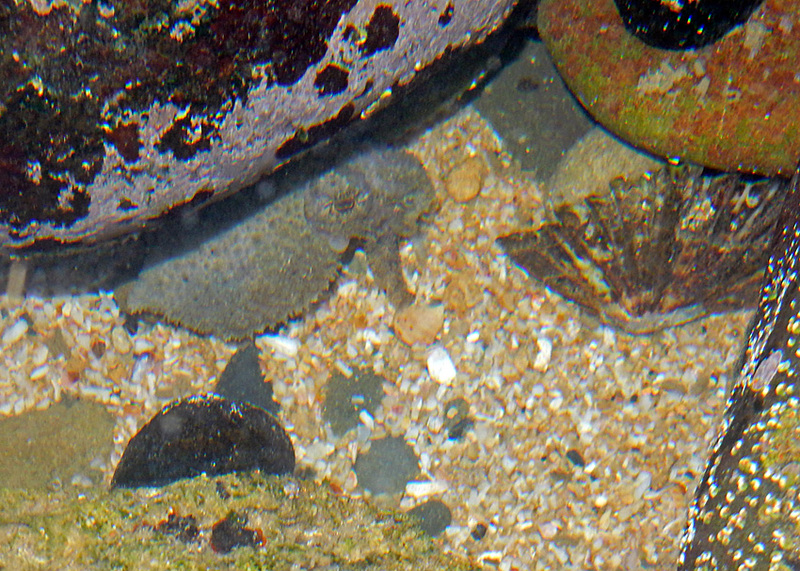 One of the biggest highlight, for me, was finding this amazing little Cuttlefish. I was busy filming an Octopus (below) when I noticed that one of the grey stones at me feed wasn't were it was last time I checked. At closer inspection it turned into this amazing little animal. What a sweetheart! 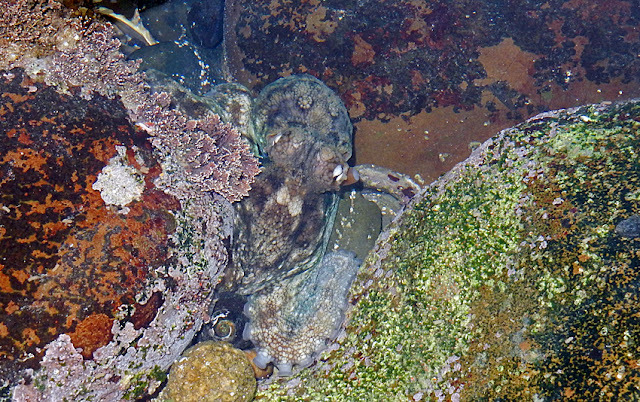 A close relative, and always a treat to see, is the Octopus. I'm always amazed at how effortlessly members of the Cephalopoda can change color! There are also plenty of anemones to be found amongst the rocks. Another group of creatures that likes to stick to the sides of the rocks are the Seastars. Some of them can growing fairly large. I definitely don't want to step with my bare feet on one of these! 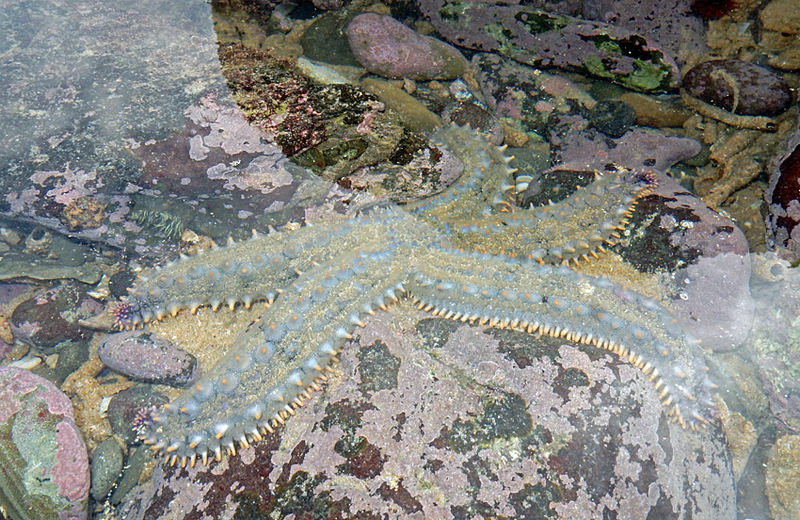 The Brittlestars on the other hand are much more, well, brittle compared to the Seastars. From what I can tell they also move around much faster, at times almost crawling like a spider. 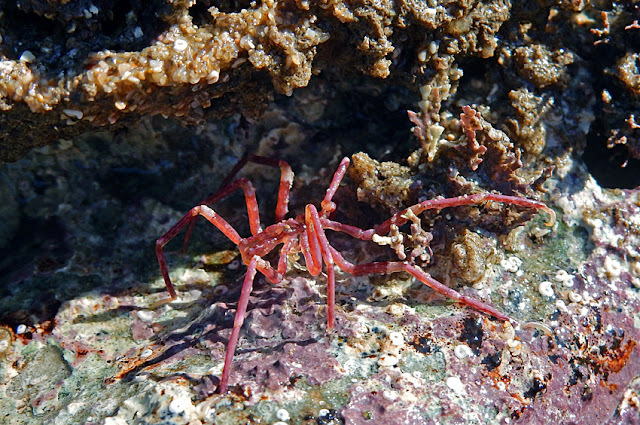 The Brittlestars might look spiderlike, but at first glance the Sea Spiders seem to be the real deal. 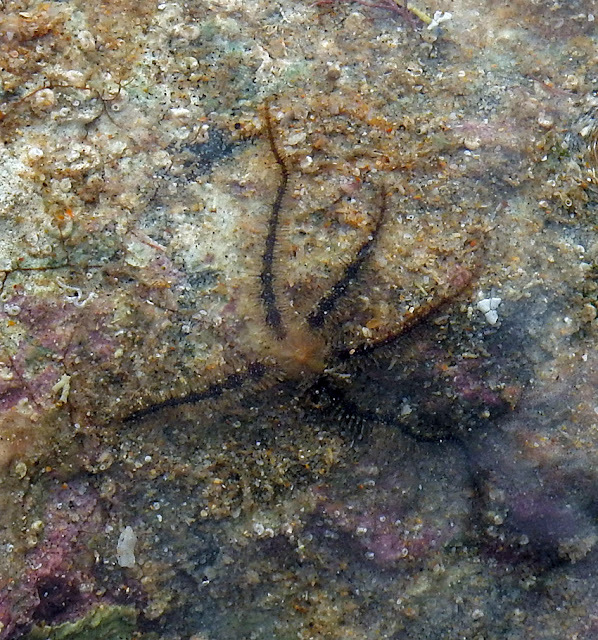 However when you look closely it becomes clear that Sea Spiders aren't true spiders either. 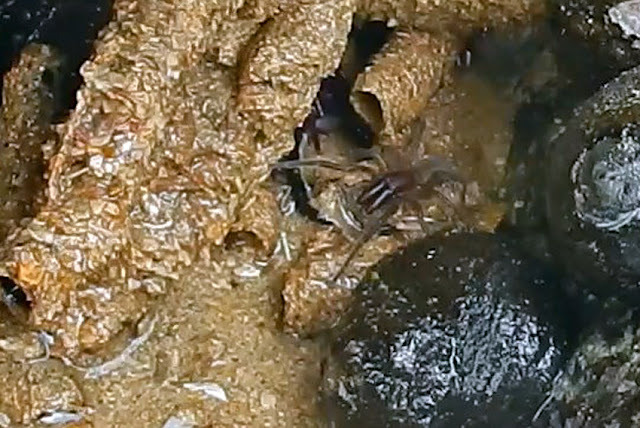 Don't be alarmed, there are indeed true spiders living in the tidal pools as well. 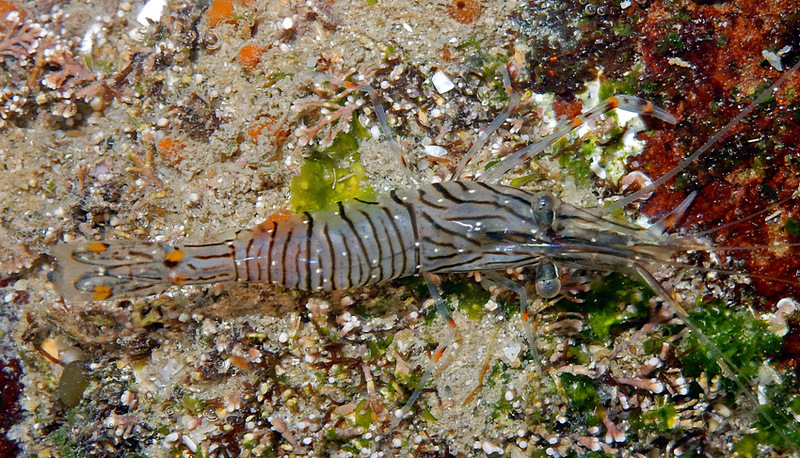 They like to feed on isopods and amphipods. It would appear that eight seems to be a good number of legs... If it can work for many of the creatures mentioned above then why not also for a Crab? 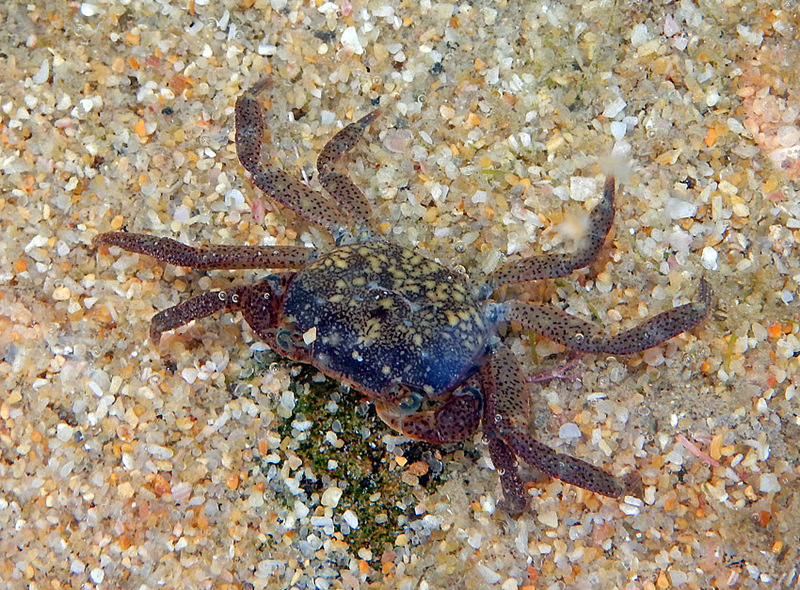 And in fact it does work, crabs have eight (walking) legs as well - if you take some liberties and count the pincers as arms. I've always had a soft spot for Shrimp. In fact I can't get myself to eat prawn / shrimp because they look too darn cute! I like the zebra striping of these Sand Shrimp. They are also semi-translucent. 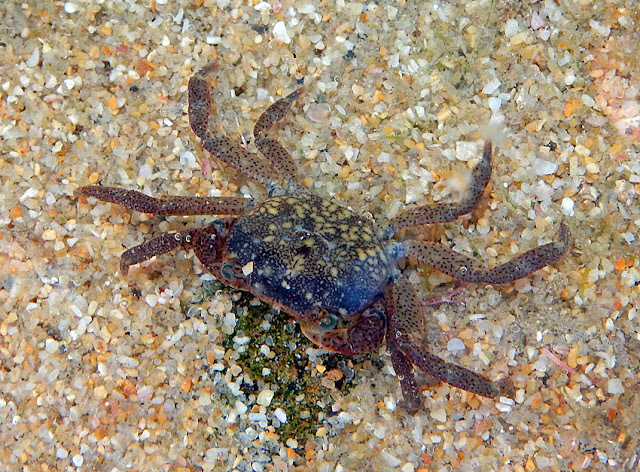 In these last few blog posts I've only shared a small percentage of the critters I encountered in the tidal pools. 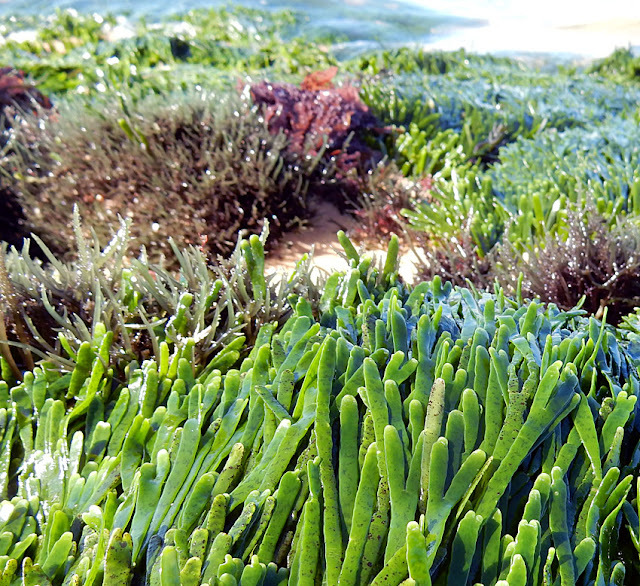 This is only a tiny fraction of the diversity of life found in a small stretch of coastline. I don't know what the future will bring, but I truly appreciate the privilege to be able to explore these mazing tidal pools in the here and now.